Well-maintained 8 room, 3 bed​r​oom, 2 ½ bathroom hip-roof colonial set on a corner lot near the Burbank Elementary School. 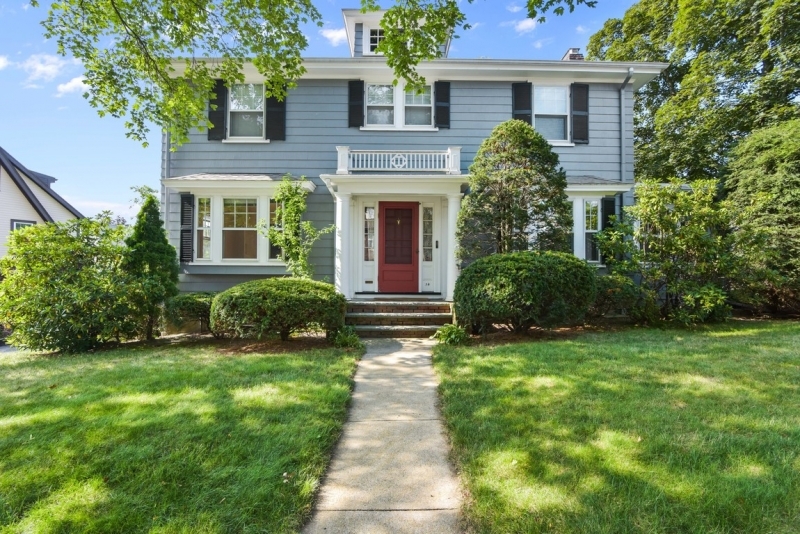 The first floor features a welcoming foyer, front-to-back living room with fire place, formal dining room, sun room, updated kitchen overlooking the yard and a ½ bathroom. The second floor front-to-back master bedroom has two closets and the potential for expansion over the sun room. Two additional bedrooms, a full bath and study complete this floor. The finished lower level provides an additional 500+ feet of living space with direct access to the exterior and offers a heated recreation room with built-in cabinets and shelving, tiled bath with shower, laundry area, storage plus a one car garage under. The large brick patio in the rear yard is perfect for entertaining. Updates include blown-in insulation, exterior wood shingles, and rubber roof. Near Fresh Pond and public transportation to Harvard Square.